MINIBAT 2 is a compact machine to produce die-creases in programmed positions, with quality, accuracy and speed. MINIBAT 2 is the original true creaser and utilizes the rule and matrix method of creasing. 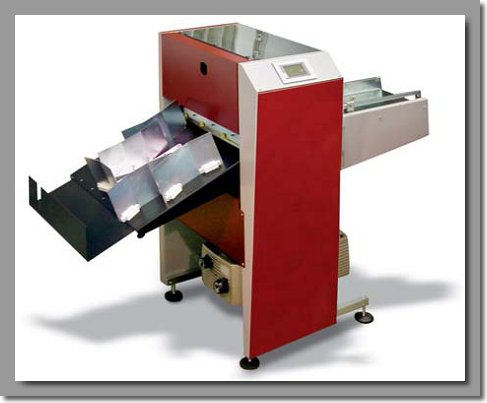 This system has been tradionally used in die cutting machines, and is the only recognised method for creasing digitally printed stocks or for creasing cross grain. This machine is robust in construction and is ideally suited for commercial applications. MINIBAT 2 has the greatest creasing pressure of any machine of this type and offers the highest performances in speed and accuracy.